Agricola Redesign | Five Tips for Creating a Romantic Home! Five Tips for Creating a Romantic Home! At Agricola Redesign and A Village Gift Shop we’re ALL about creating a wonderful, beautiful home. In fact, it’s one of our favorite subjects and even one of the main reasons we offer home design education courses throughout the year! It’s February (already! ), and that means Valentine’s Day is almost here! While the winter blues may have you feeling a little less than thrilled about the upcoming holiday, we’re here to help! Not only do we love creating beautiful homes, we also enjoy putting a romantic feel in homes as well! To help you set the mood in your home this month, check out these five tips below! There’s nothing that says romance quite like candles. And when they’re the only thing lighting the room they really turn the romance up a notch (or two!). When deciding on which candles are best to bring into your home this month, opt for scents that appeal to both you and your partner. When you’re shopping for candles, stop by A Village Gift Shop at the Century House, where we carry neighborhood candles that are scented to remind you of the places that you love most! 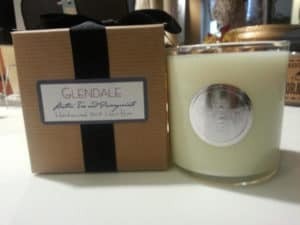 Neighborhood candles at A Village Gift Shop offer scents of your favorite places in Cincinnati. Fresh fruits, appetizers, and nuts are always a good idea to have in your home. 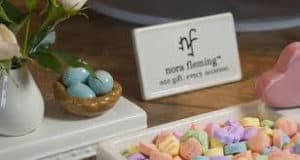 They’re healthy and delicious, and A Village Gift Shop now carries Nora Fleming products, which are beautiful for any occasion – including Valentine’s Day when you’re setting up a platter of fruits, nuts, and appetizers for your party guests. Nora Fleming dishes are perfect for holding sweet treats! When we think of Valentine’s Day we often envision a dozen red roses. But we’re encouraging you to try something a little different this year! While traditional flower arrangements are ALWAYS romantic (and beautiful! ), we want you to use just one beautiful bloom in a special dish. 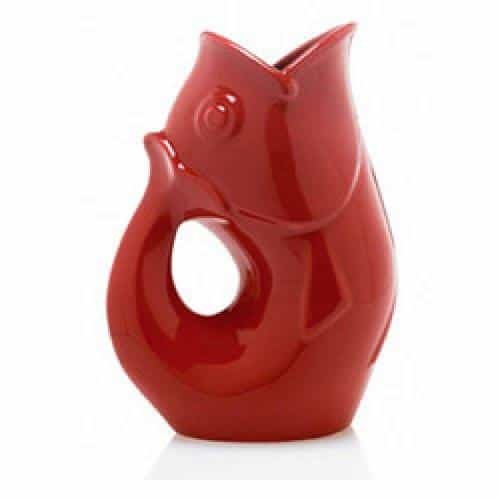 If it’s a dish you make or a dish you buy that gives you tummy all the butterflies, you’ll love the idea of showing off the vase as much as the flower inside it. You can also create a bouquet of your own to put in a special pot as well, which you can find with our line of Gurgle Pots at A Village Gift Shop! The pots ACTUALLY produces a whimsical gurgling sound and are created out of durable stoneware. Gurgle Pots create a whimsical gurgling sound when water is added. Really turn the heat up with lotions and scents from Mangiacotti. These natural, plant-based products are dedicated to helping maintain the planet for future generations and focus on “green” products, utilizing essential outs and other plant-derived ingredients including a hand repair cream that is rich in shea butter and will keep your hands smooth from the harsh winter cold! Mangiacotti lotions are all-natural and plant-based. With the sweets, flowers, scents, and candles in order, it’s time to get yourself dressed! Stop by A Village Gift Shop to see our selection of Shawl Dawls, a one-piece that can be worn in several different ways that are trendy and comfy! Stop by and check them out! Shawl Dawls can be worn different ways.